Philosophy of time and analysis of temporality by conceptual means is a great field and Elisabeth F. Cohen, Associate Professor of Political Science at Syracuse University, managed to open a new chapter within this field by writing The Political Value of Time, that was published this very year by Cambridge University Press and I was lucky enough to see it amongst the new offerins at the CUP Bookshop. 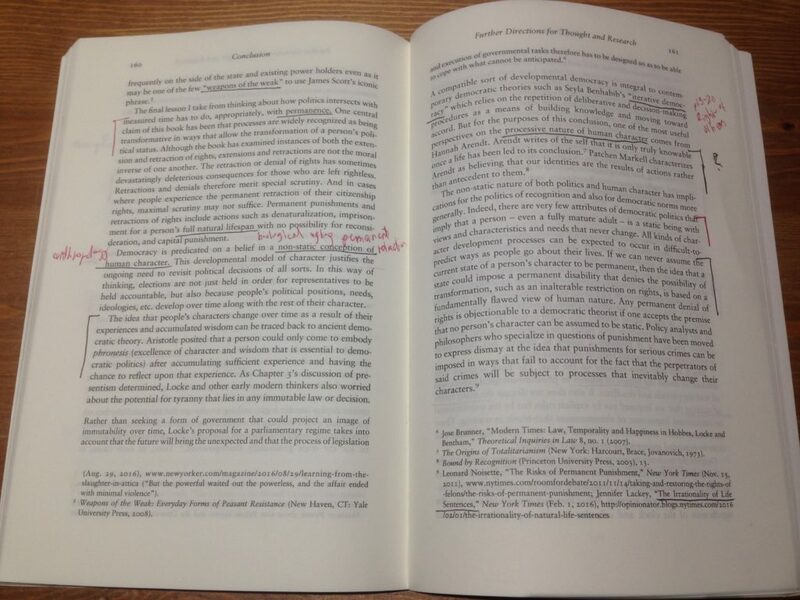 I studied this book repeatedly this year, here’s a photo on my annotated copy. I’m pleased to announce that the first draft of my book in progress, called Open Lifespan, is available under a separate page, Open Lifespan: Book Draft. Let’s say it’s version v0.1, ~24,000 words.